Previously known as multiple personality disorder, Dissociative Identity Disorder (DID) is one of the most controversial psychiatric disorders, with no clear consensus regarding its diagnosis or treatment. Author Sarah E. Olson reveals her past struggles and explains how she was able to push past them and take back her life. She puts forward a really inspiring story and is a beacon of hope to anyone in a similar situation. Much has changed in the treatment of DID in the past number of decades so I would highly recommend this to anyone who wants to know what it is like to have DID. 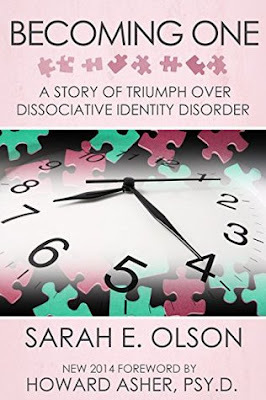 Thank you Sarah for taking the time to write it, and I look forward to your follow-up book: Living Purposefully with Dissociative Identity Disorder.